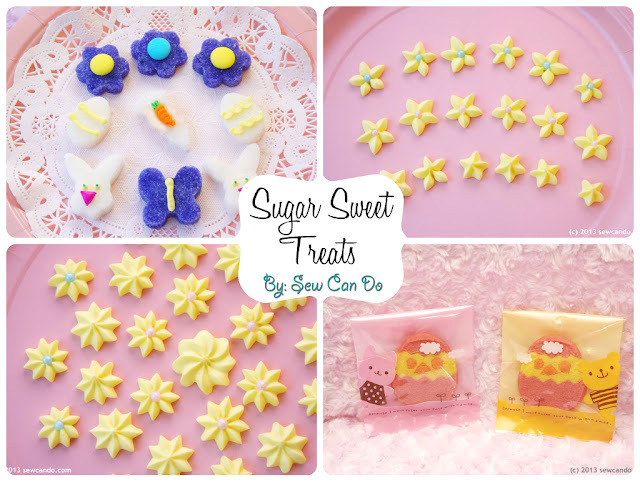 Sew Can Do: Sweet Sugar Treats Anyone Can Make For Spring! Sweet Sugar Treats Anyone Can Make For Spring! 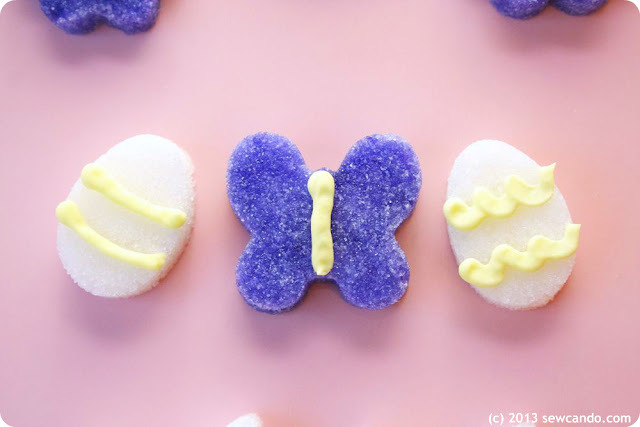 Earlier this week I shared a sugar-free Easter idea with my Plush Chocolate Bunny, but today is all about using the sweet stuff since I am a total candy addict. 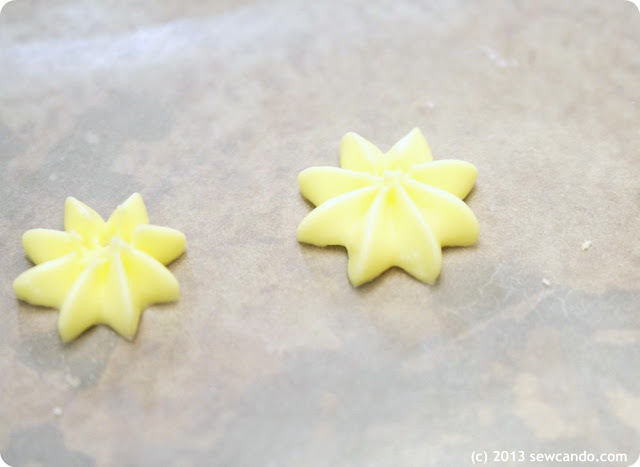 The great thing about these little goodies is they are easy to make, keep for ages and have lots of uses. Now let's sugar it up!! First up are royal icing spring flowers. They look so lovely & it's easy to make a lot really quickly. 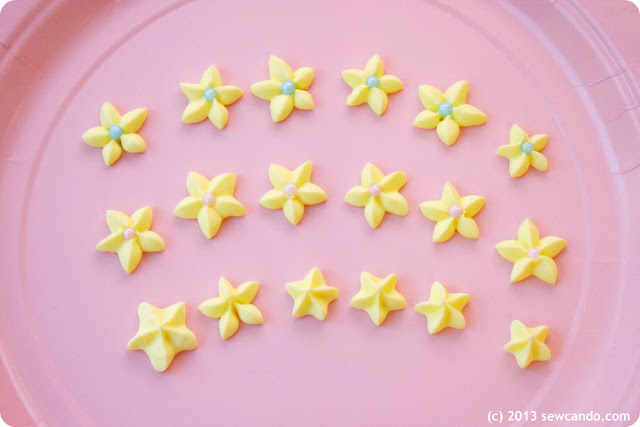 I've piped royal icing on panoramic eggs in Easter's past, but this time I made some little florets. 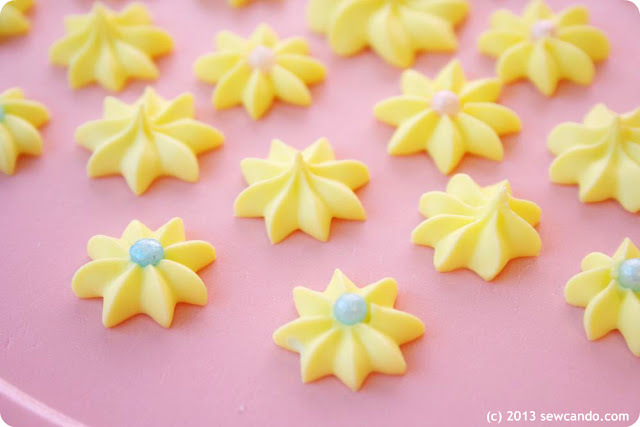 My fab sponsor Wholeport let me try out this cool set of icing tips to make them. 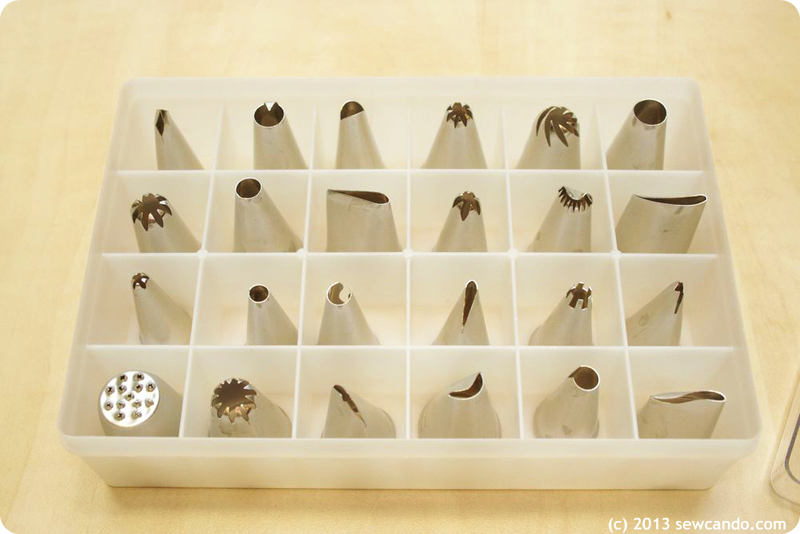 I loved how many different specialty tips were included and that they came with their own case. No more sifting through baggies trying to find the right one like I used to do! 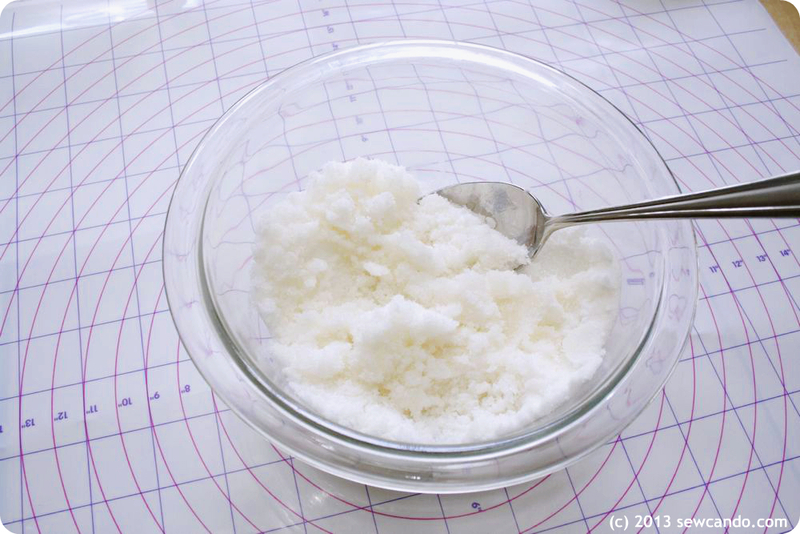 It was really easy too - using an electric mixer, blend 2 cups confectioner's sugar with 3 tbls water and 1 1/2 tbls meringue powder. 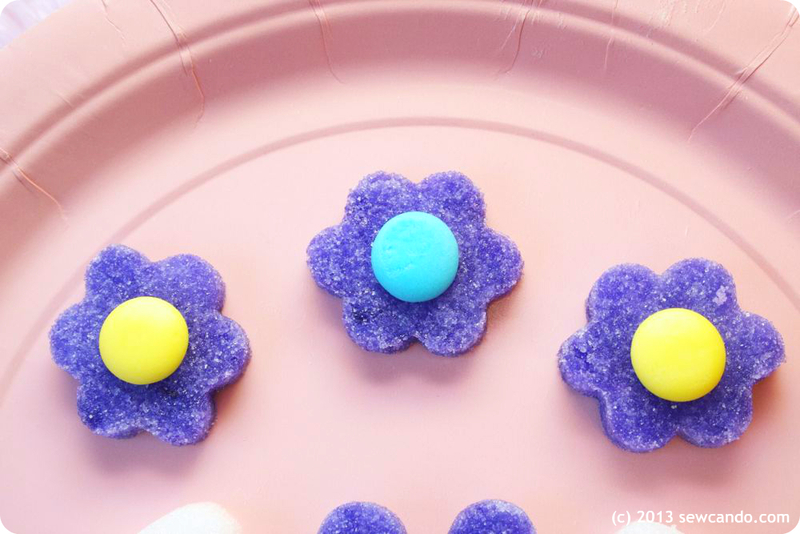 Add a drop or two of gel food coloring and you're good to go. I spooned the icing into a pastry bag (aka ziploc freezer bag with corner cut out) and just held the pastry bag straight down right on top of my waxed paper-covered cookie sheet and squeezed until a nice shape appeared on the paper. 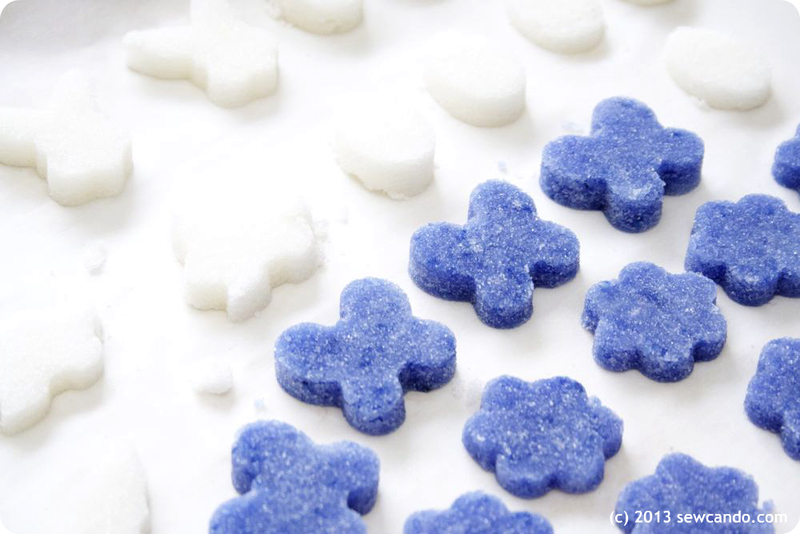 Next up are sugar shapes. These look lovely on baked goods, served with tea or just a special treat. Turn it out onto a flat surface and then press down with a bowl or cup bottom to form a "piece". I laid them out on the cookie sheet and baked in the oven on 200 degrees Fahrenheit for 10 minutes. 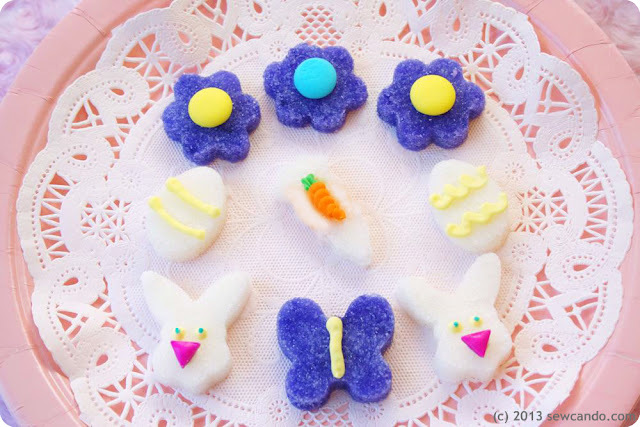 And for splitting up a big package of store bought Easter cookies, I made some cute single serving versions with these little treats bags. I got these from Wholeport too - I love the little message they have on them "Because I want to see your face with a smile". Just so cute! And the backs are cute too, since there are matching stickers to seal them up. This makes sharing Easter treats easier. Now we're nice & sweet for Easter and the newly arrived spring! I was not financially compensated for this post and received some of the tools shown to review. The opinions are completely my own based on my experience. I am an affiliate of Wholeport.com. For my complete disclosure policy, click here. 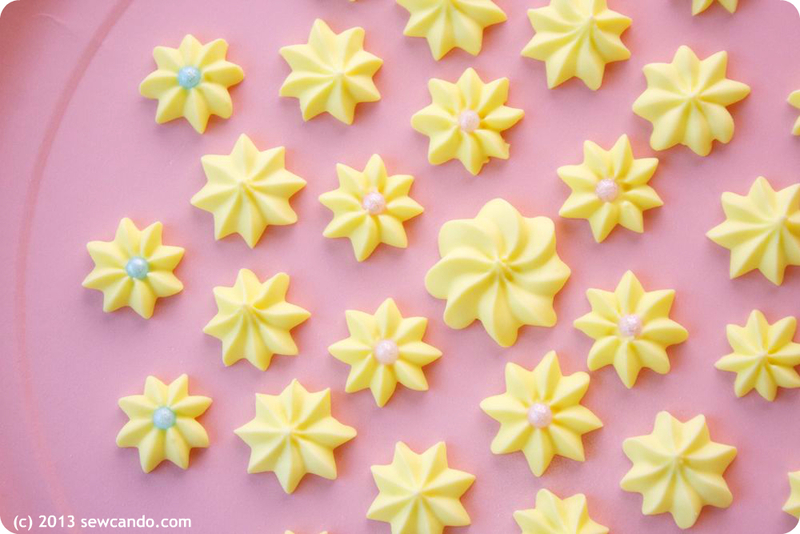 The sugar icing designs look so pretty. I'd love to try these in all sorts of happy colors. 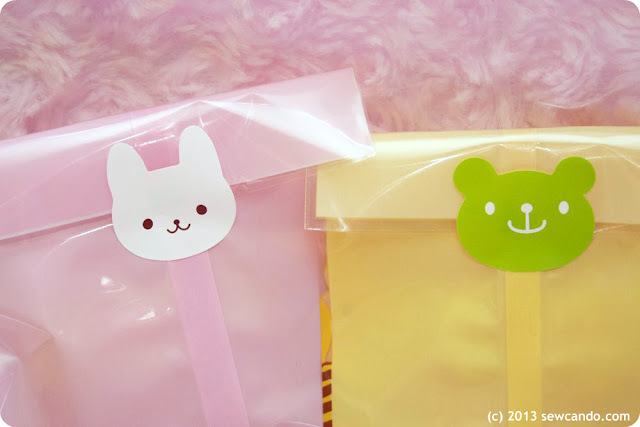 Also, I LOVE the little Easter treat bags. What a cute surprise to find in anyone's basket! 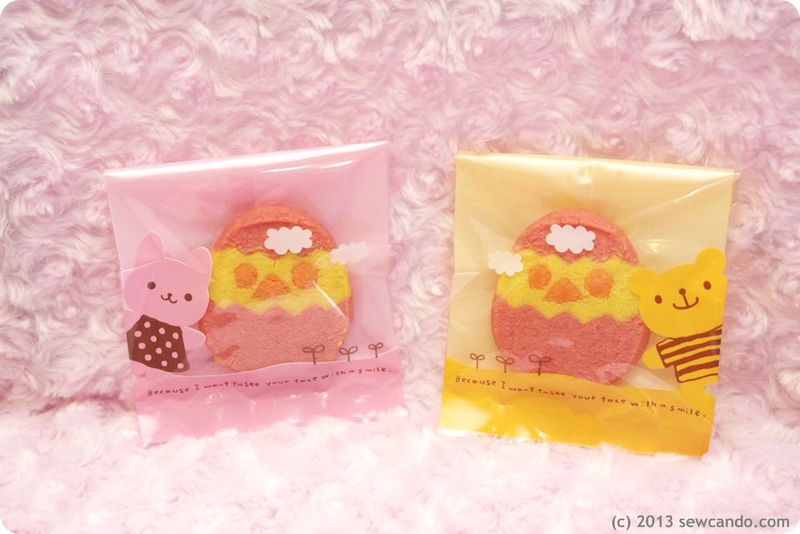 These are such cute treats! Thanks for sharing!! How cute! 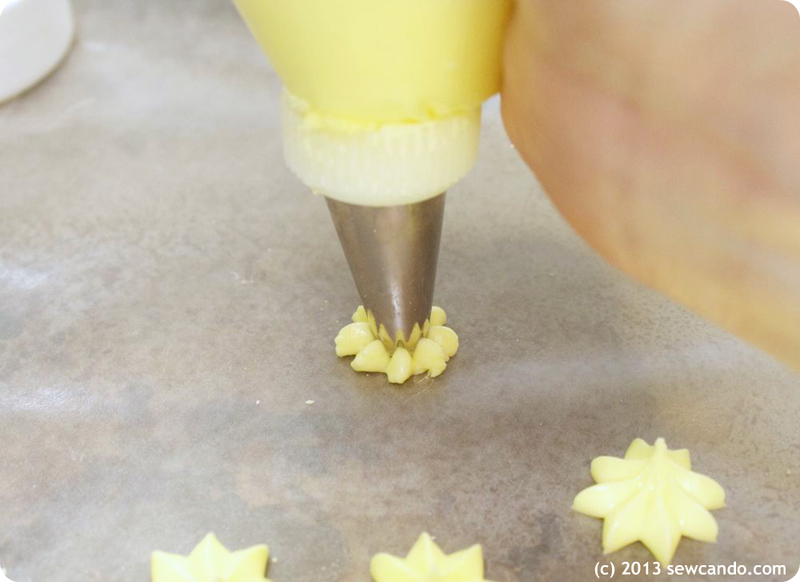 That is such an adorable way to make little sweet treats! Easy too...and the kids and grandkids would love that! Little artists in the kitchen learning how to make things! Thanks so much for sharing your great ideas with us for my party this week!! 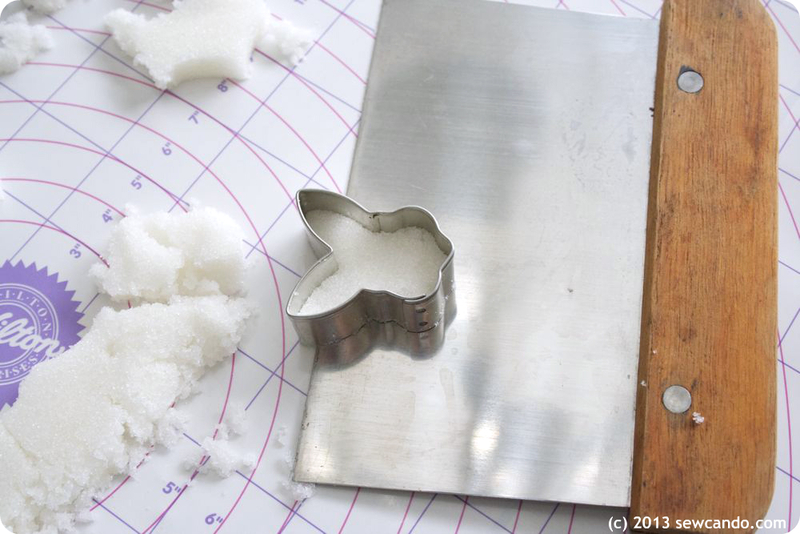 I just got this icing tip set from Wholeport...but it does not fit or even seem standard to any icing couplers I've seen or the wilton ones I currently have. Ideas? I found about 7 of them fit my standard couplers. I haven't frosted with them all, but for the larger tips you can just put them directly into the bag instead of using a coupler. 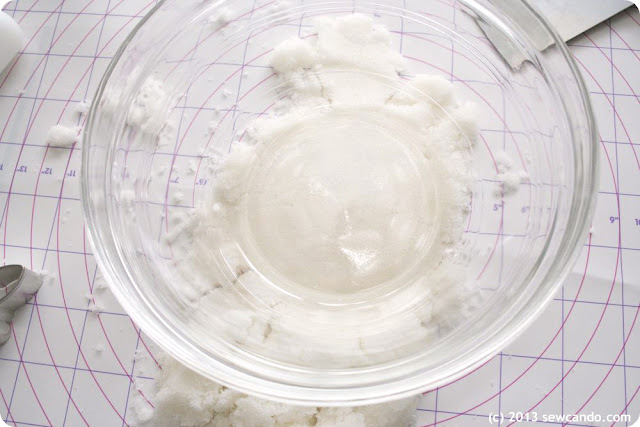 Just cut a smaller opening in a bag and make sure you squeeze the tip in very snuggly. Then you should be able to use them without a coupler.